With party season almost in full swing, it makes sense to take care of any necessary beauty regimes early. Otherwise, there’s always that horrifying predicament of over-plucked brows and dilapidated nails. For those who like the luxury of feeling permanently coiffured, we round up the best beauty salons in Edinburgh bound to cater to all of your pampering needs. May you feel merry and forever ‘on fleek’! Miles ahead of the game and pioneering to the core, The Nail Yard is a must-visit spot for the myriad of folks with an affinity for fancy nails, killer brows and luscious lashes. Forget rings on fingers and bells on toes — this nifty gem is the first ever nail boutique in Scotland to introduce a nail art printer. Clients can delight in over 700 preloaded designs, any of which can be placed to perfection on their expertly manicured nails. 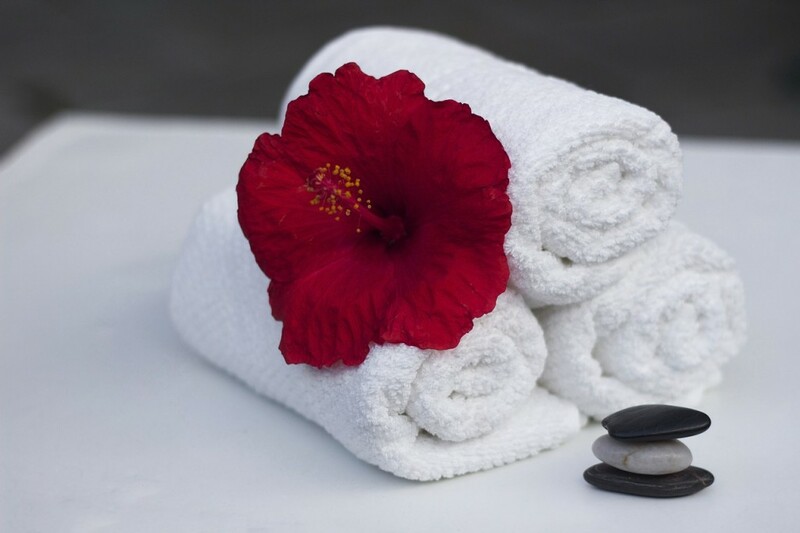 Free from obnoxious chemicals and harsh ingredients, every product and treatment is meticulously thought out with the utmost care to ensure an unprecedented spa experience. The ultra hip industrial chic salon accents only add to the unwavering appeal. The queen of Edinburgh’s beauty scene, Elizabeth M is a master facialist with over 20 years of expertise under her belt. For bespoke treatments tailor-made to each individual’s specific needs and desires, Liz has you covered. From a luxury facial and non-surgical face lift to a 3 in 1 ‘super facial’ and glycolic peel, there’s nowhere else to even remotely consider for a clearer complexion and sublime skin rejuvenation treatment. Trained under Beryl Barnard at the renowned London Esthetique School of Beauty, it’s no surprise that this beauty guru has such a loyal following. All in all, this is a whole different echelon of skincare, with Liz existing in a league of her own. A beauty mecca, Edinburgh Beauty Quarter has an extensive range of treatments on offer. From body wraps and mini deluxe facials to men’s facials, mud therapy, hand repair, nail extensions, OPI products, shellac, eyelash tints and St. Tropez tanning, you can’t help but leave feeling like a fine work of art. Situated in an exquisite Georgian building and adorned with modern rooms, each with a contemporary twist, this lavish spot is on top form. Always a delight, Imarni has been going strong since 2005 and is undeniably a beauty salon with charm. Many rave about the award winning electrolysis or electrical epilation, a popular and progressive hair removal treatment. Once more, they are highly adept at treating thread veins, skin tags, warts and milia in their pioneering skin clinic. With a fabulous selection of anti-ageing facials, permanent makeup and transformative massages like Swedish and hot stone, there is a reason that this haven has a tribe of trusty followers. For the full shebang and then some, look no further than The Beauty Works. This hair, beauty and nail salon literally has the lot. Whether a body silk treatment, slimming wrap, back treatment, men’s treatment, nail bar, or the Lumina IPL laser hair removal floats your boat, you can’t help but become addicted to this super efficient and popular hangout. 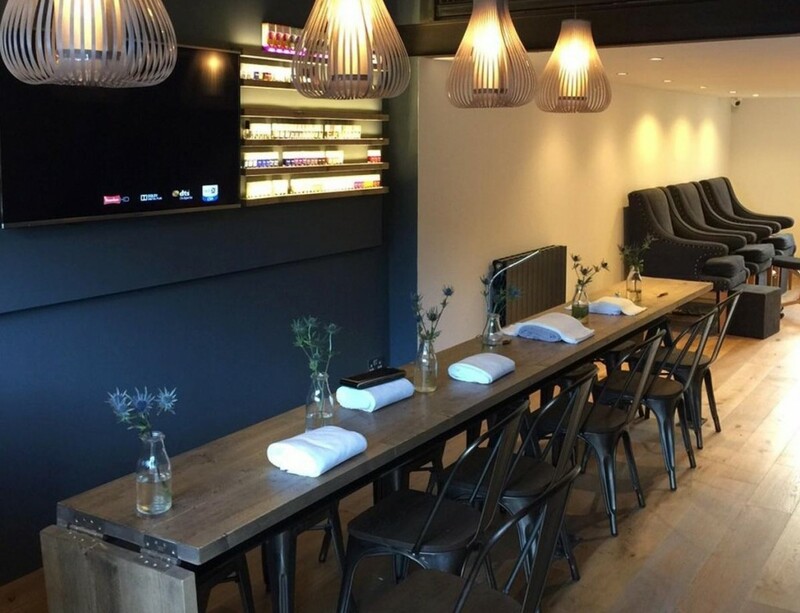 Transcending beyond the rest, Zen dominates the Edinburgh beauty brigade with locations in Bruntsfield Place, Hanover Street and Teviot Place. From the otherworldly furnishings and contemporary futuristic vibes, you can’t get much sleeker. Those who have a brow thing going on will become obsessed with the HD Brows option — an ingenious fusion of threading, waxing, shaping and tinting to create some stellar brow game. Although there is absolutely nothing wrong with a bit of extra flesh, those who prefer to slim down can try the non-invasive endermologie lipo massage, which helps remove cellulite. There is also a myriad of mani-pedi, medical cosmetic, massage, facial, hair removal, tanning and epic spa day packages, too.